Posted on 1 Nov 2016 Author Dr. Dinesh kapur	5 Comments on ASTHMA When Excess Type! An audible ‘wheezing’ sound is characteristic of asthma, especially when exhaling. These symptoms can mimic other illnesses, such as heart failure, emphysema, bronchiectasis, bronchial obstruction, vocal-cord dysfunction, and hypersensitivity reactions. Exercise is a common trigger for asthma and may cause symptoms in 80%-90% of asthmatics. Exercise-induced asthma is managed by choosing an appropriate sport, controlling the asthma prior to events, warming up, avoiding cold, stopping exercise during an asthma attack, cooling down after exercise, and preventing episodes with the use of inhalers and bronchodilators. Some conditions can cause asthma to worsen, including GERD, allergic rhinitis, sinusitis, food allergies, and air pollution. It denotes due to invasion of wind cold, which impairs the smooth flow of the lung vital, that injures the skin and hair, and makes pores closed. Lungs vital fails to disperse and descend, leading to cough. Cough with thin sputum, rapid breathing, accompanied by chills, fever, headache and absence of thirst, white tongue coating. Lungs main function is of respiration and is further associated with the skin and hair, which are first attacked by wind cold in invasive procedure. 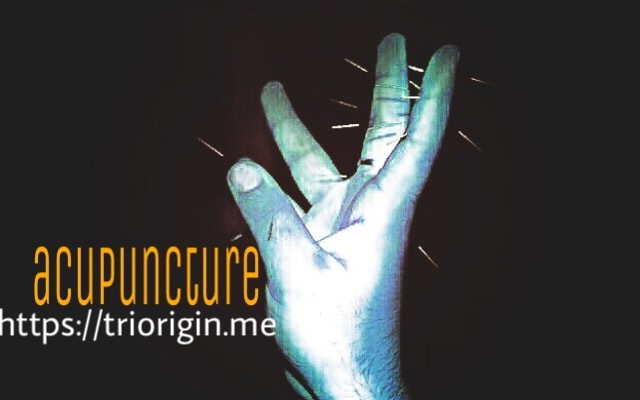 TriOrigin ‘colors’ acupuncture a traditionally accomplished through the insertion of very fine micro needles at the certain energy gates on joints in miniature form of hands. The concept itself does not directly touch body organs and one may easily see the difference in initial few sessions. The aim is to promote health and ease sufferings. Give a Try! No doubt it works effectively. Previous Previous post: CONSTIPATION en-joy! I was having asthma for the last approx 20 years, childhood and getting worse the position. With western medicine it was difficult to overcome the symptoms. Now after taking treatment through acupuncture from doctor, I could not believe that it can work so effectively, in a amazing way. Thanks to him. I would like to thanks to Dr.Dinesh Kapur, rather I have got no words for him, who performed acupuncture treatment to my wife Mrs Manisha Khanna who was suffering from asthmatic problems for the last eighteen years along with other multiple problems like throat coarse, shortness of breath, clenched jaws, chronic fatigues, excessive cough, loss of hair rapidly and many more. My wife was on medication for the same for the last such periods. It is very amazing and surprising to find changes in life as well as multiple diseases. Now her most of the medication has been stopped and SHE FEELS LIKE A NEW LIFE TO HER and for this all thanks to Dr.Dinesh Kapur. We all family members are highly thankful to Doctor Dinesh. With warm regards and may god bless him by giving more knowledge to heel the mankind! I would like to congratulate Dr Dinesh kapur on the kind of magic he does with acupuncture. My mother an asthma patient have been to Apollo Hospital in ICU many times and we didn’t find any hope of her getting better. she couldn’t leave her oxygen for even 5 min, she couldn’t walk on her own, as was diagnosed in hospital as acute respiratory failure stage V. We heard about doctor kapur and took her to there on a chair. But thanks to doctor, now whenever we go their she walks down on her own and is slowly able to leave oxygen the whole day. We hope that she keeps getting better. Now We trust TriOrigin color acupuncture! Here, I could not find proper thanks word for Dr.Dinesh Kapur who performed acupuncture TriOrigin that too on hands. It is brilliant to see the quick results which helped to get rid at uncontrollable time! Good Morning Dr Dines Kapur.I follow your posts on FB regularly. Thank you for working for the benefit of all. How can one learn Triorigin Acupuncture.Kindly guide.